Atlanta, GA. 10 March 2017 – Last night, Grand Hustle’s latest rap phenom, RaRa, held his private listening session for his anticipated EP, “I Am What I Am”. 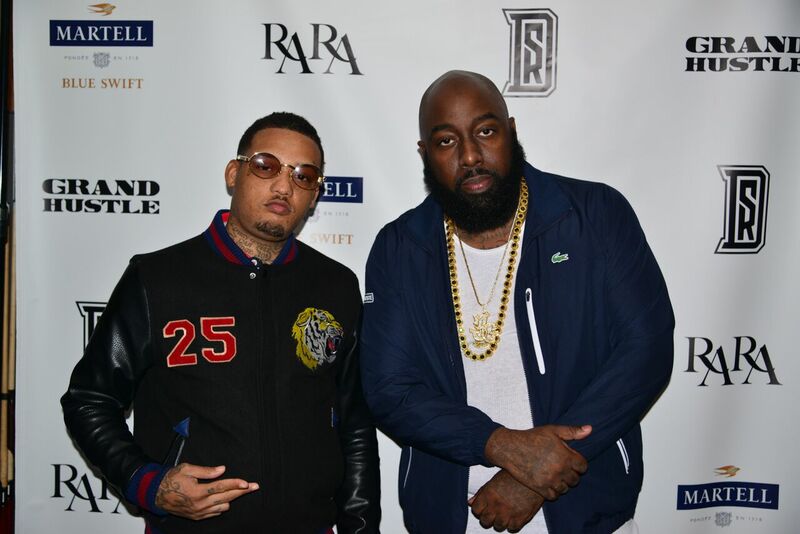 Hosted by Grand Hustle’s VP, Trae Tha Truth, dozens of RaRa supporters gathered at Atlanta’s renowned Silent Sound Studios to preview his EP before its release date. Martell Blue Swift powered the event, with a signature “Martell Margarita” cocktail, specially crafted for the evening. Everyone made their way to the main recording room where RaRa played all of the tracks on “I Am What I Am”. RaRa discussed his thought process behind each song and let everyone into his world. “FWM” and “Ball” were among some of the crowd favorites, while “Dear Summer” grabbed their attention with the deep lyrics. “It’s been a long time coming, but I’m finally here and I’m not going anywhere! I Am What I Am is a preview of what’s to come from me. I’m thankful for everyone who came out to support my event and thankful for Tip and Grand Hustle for believing in me and having my back”, RaRa stated.